If you want to see Redwing and Fieldfare, Cogra Moss is definitely worth visiting. They visit Cogra to escape harsh northern winters. We’ve been a bit cheeky and included Leighton Moss. It’s not technically in the Lake District, but as it’s a real birdwatching hotspot and only a 60 mile drive from Coniston we thought it worth mentioning. Here you can see one of nature’s most dramatic displays, a mass starling murmeration. 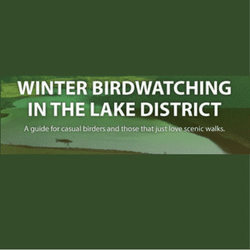 //&gt A Lake District Winter Birdwatching Guide </a> by <a href=https://www.craigmanor.co.uk/>Craig Manor</a>.